Since organizing the Nick Hempton Band in 2005, he's released 3 CDs with the latest 2 out on Posi-Tone Records. This year, he's decided to try a new approach, a fan-friendlier approach but not "crowd-sourcing." The "Catch and Release Experiment" is a unique idea, one in which the band - Hempton (alto, tenor saxophones), Dan Aran (drums), Jeremy Manasia (piano) and Dave Baron (bass) - will, over the course of 1 year, "write, rehearse, record, and release one new song every 6 weeks." The songs will be made available on the Band's website, on iTunes and Amazon. If you have ever listened to Nick Hempton's music, you'll know he's a confident player with a sweet sound on alto and a swinging approach to the tenor. His compositions leave plenty of room for solos but he does not skimp on melody. Drummer Aran has been in the band since its inception and one cannot miss his rapport with the leader. The first track, which takes its name from the "experiment", will be released on Tuesday July 15.You can join in on the fun by going to nickscatchandrelease.com. 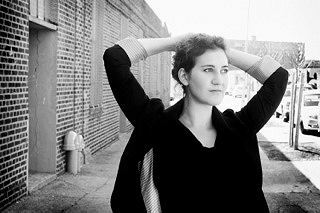 Earlier this year vocalist/composer Nicky Schrire returned to her native South Africa after 4 years in New York City where she studied music, recorded 2 CDs and an EP, made scads of friends and ran herself ragged trying to get her career moving forward. Despite strong positive critical responses, Ms. Schrire felt she needed a change of scene and made plans to settle in London, England. First, she went home to recharge, see family and friends and to slow down for a little while. She's now in London, starting to gig and getting established. While in Capetown, Nicky Schrire formed a duo with cellist Ariella Caira, recorded a 5-song EP that also begs to be heard. Time will tell. To find out more about the person and her engaging music, go to www.nickyschrire.com.